Squat Log Basket. 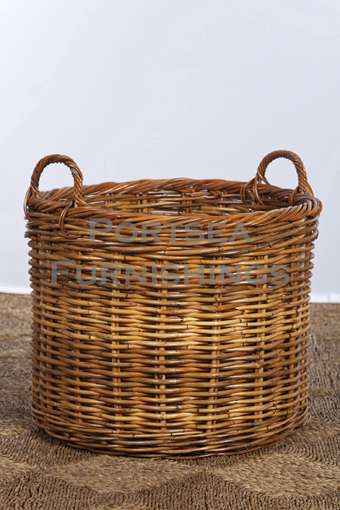 Our round squat log basket is made from strong, hard wearing rattan. These baskets are robust enough to carry from the wood pile inside to the fire. Our log baskets are perfect by the fire place to keep the fire wood neat and tidy. 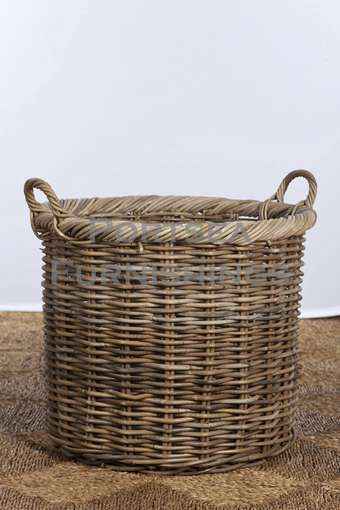 Other uses for these baskets include, planter baskets, storage baskets, toy baskets and dirty linen baskets. Also available are Tall Log Baskets and short log baskets, all in 3 sizes. *All baskets are hand made and can vary in size from time to time.